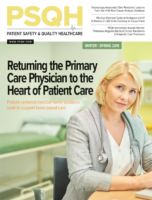 This member-only article appears in the May issue of Patient Safety Monitor Journal. While still illegal federally, there are currently 33 states that have legalized marijuana for medical use. At the moment, the laws on this topic are very dependent on where your facility is located, and you should take the time to look up your state laws. This Q&A is meant to clear up some of the broader questions around medical cannabis in healthcare—for patients as well as healthcare employees. This Q&A has been lightly edited for clarity. Benjamin Caplan, MD, is the founder of the CED Clinic and a spokesman for Doctors for Cannabis Regulation, the only national physicians’ association dedicated to the effective regulation of cannabis in the United States. Q: If a patient has a valid medical marijuana recommendation, is he or she allowed to bring it to the hospital? Say if they’re going to be there for an extended period of time or overnight? Caplan: That’s a policy question for hospitals. There are places in the United States where it’s legal to bring [medical cannabis] to a hospital, although they would not be administering it. But it’s different region to region. I think there’s a legal question and an ethical question. State laws are telling medical patients that they are allowed to have a choice to use this particular medicine. Hospital policies are quite different, and for good reason. In order for doctors to best manage illnesses carefully, and to the best of our abilities, we must know as much as we can [about] what a patient is taking. But it’s very common for patients to sneak cannabis in back rooms or under the radar, which is really unfortunate for everyone. I think the hospital perspective should be embracing what patients find helpful. To have cases where patients are having seizures in a hospital and they can’t get the medicine that they want (and find helpful) as an outpatient is a real cultural disconnect for the medical establishment. I think the solution is for people to not sneak around; the solution is for hospitals to open their arms to patients who find a medication helpful. Q: Is there a process a hospital must follow before it can legally recommend medical marijuana? Caplan: In almost every state, licensed physicians have the opportunity to recommend cannabis to their patients. Almost all the states require third-party validation of completion of supplemental medical education or course work in the specialty. My group, CED Foundation, is working toward a cannabis medicine specialty, but that doesn’t exist formally yet. Q: Should medical marijuana use be listed in a patient’s records? Since it’s technically a medicine the patient is taking, should it be listed as such? Caplan: It’s an interesting question. On the one hand, the medical industry is aware of it. On the other, it tries to play blind like it doesn’t exist. There are a handful of ICD codes that have to do with cannabis use. For example, “cannabis use, unspecified” or “cannabis use, unspecified with intoxication” or “cannabis dependence, in remission.” All of these are examples of normal codes that we as physicians can bill to an insurance company related to cannabis discussion with our patients, much like how we might be for any other medical visit. The billing system is built to categorize and engage with cannabis already; some of the codes describe benign, non-concerning use. “Cannabis use, unspecified or uncomplicated,” for example, which is not a negative judgement on someone who’s using cannabis. The system also offers codes for dependence or intoxication, which are helpful for clinical description of a patient’s circumstances and not different from other commonly consumed intoxicants. Programmatically, the system is available to talk about cannabis and have patients be open-minded and communicating with their physicians or providers. But, the policy doesn’t really support it—yet. Q: What are some of the major misconceptions that hospitals have about medical marijuana? Caplan: I think the common misconception is that [cannabis] is in the same category of addiction as cocaine, heroin, alcohol, cigarettes, or some of the other types of commonly used drugs. The vast majority of people who use cannabis use it intermittently or rarely, with full control over their choices and actions—cannabis use is different from cannabis abuse. And even the word “dependence” is nuanced when it comes to cannabis. You and I might be dependent on eyeglasses, because they help us see better and help us engage with a healthy life. But I don’t know that anyone would fault you for being dependent on glasses. Similarly, people are occasionally dependent on cannabis to feel less depressed, feel less back pain, or feel less nausea when undergoing chemotherapy. It’s strange and unfortunate that many in our culture have judged them negatively because of this. The percentage of people who are addicted to cannabis, who have withdrawal symptoms if they don’t have it, or need progressively greater amounts to achieve the same effect is a very small number. And considering the field of adverse effects compared to almost any other medicine, including alcohol and some over-the-counter medicines that many people abuse, we’re looking at a very benign substance. This is an excerpt from a member-only article. To read the article in its entirety, please login or subscribe to Patient Safety Monitor Journal.